This is one of Amazon's famous "special offers" devices, which means you can get it cheaper because you have to put up with onboard advertising--not to mention the specs are mid-to-low range. 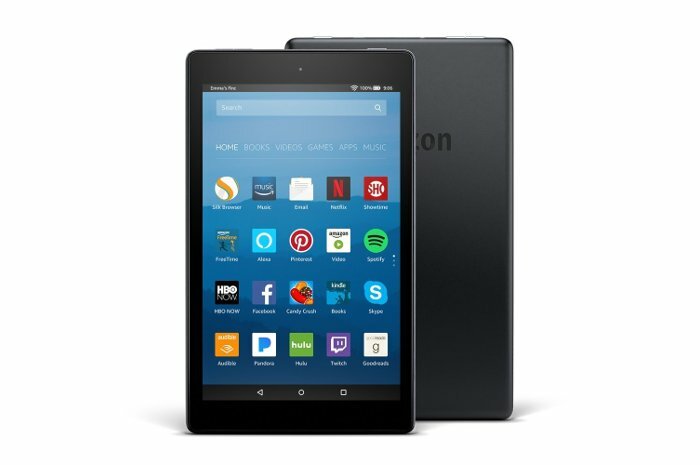 If you need to talk to Alexa—Amazon's personal digital assistant—it's available at the press of a button on the Fire HD 8. Similar to other Amazon devices, Alexa can provide data such as the weather or your calendar appointments, play music, or control your smart home devices.